Medium length hair can be messy or neat, classic or modern, worn up or down. More length means more options. It seems like short hair is low maintenance but that’s not always the case. 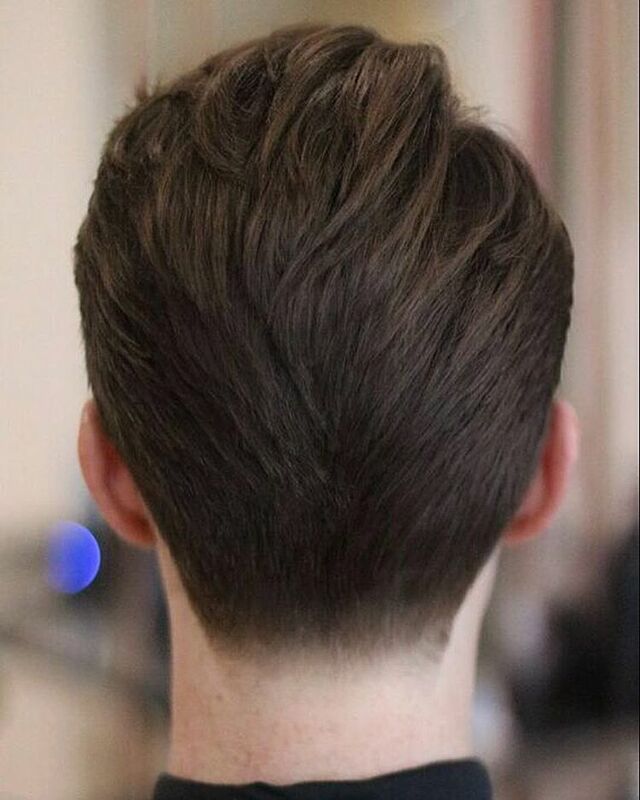 A great cut with tapered sides can go longer between barber visits. 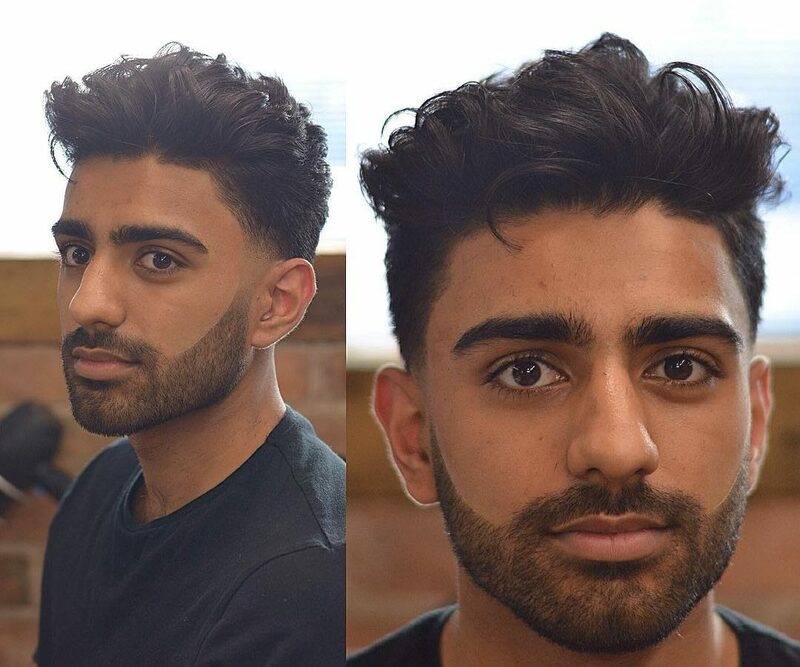 A half inch of growth on a shaved fade changes the shape of a haircut entirely while that same growth on longer hair is just more length. Some of these longer cuts also have fades or tapers, which look good growing out but do require regular barber visits to maintain. 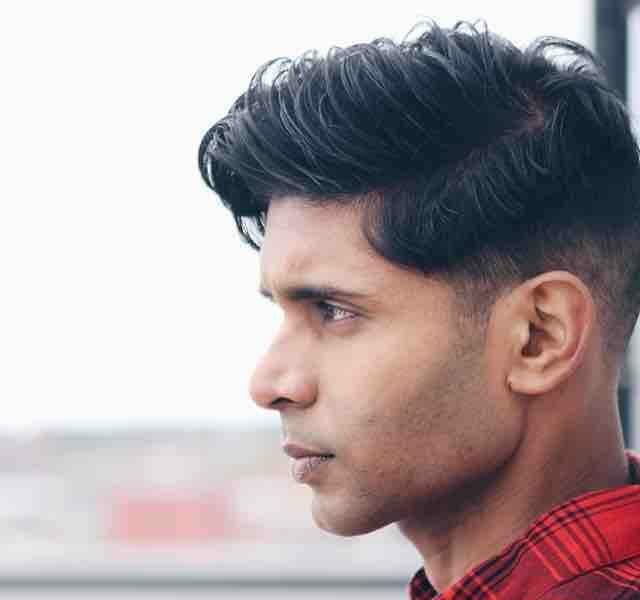 Check out 19 of our picks for the best medium length men’s hairstyles 2017. This longer version on preppy hair has plenty of on trend texture and volume. This is a cool style for play or wear it combed neatly for work. 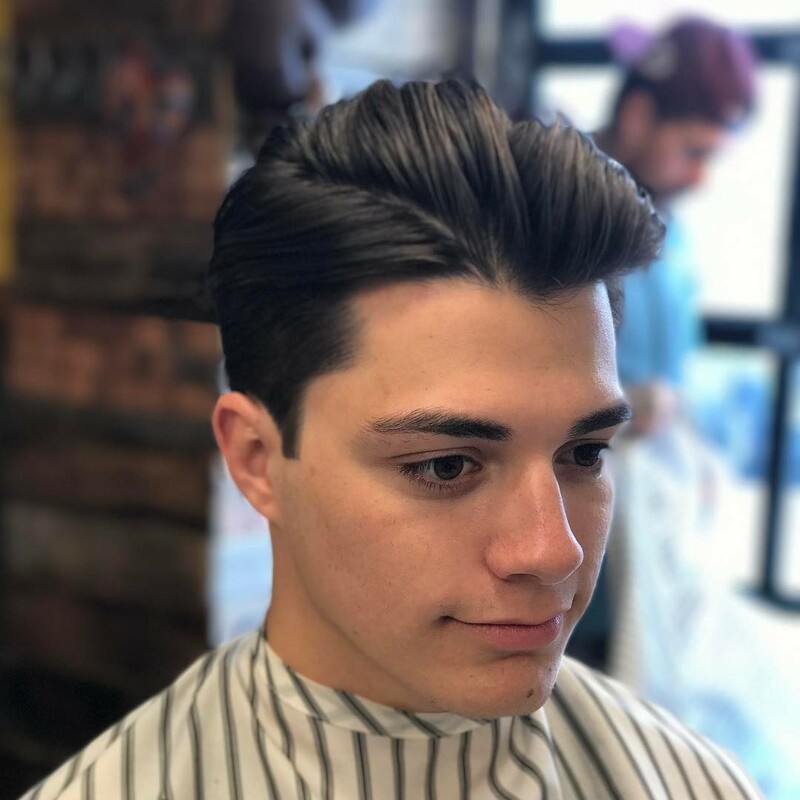 This longer combover style features a hard part, taper fade at the sides and plenty of flow on top. 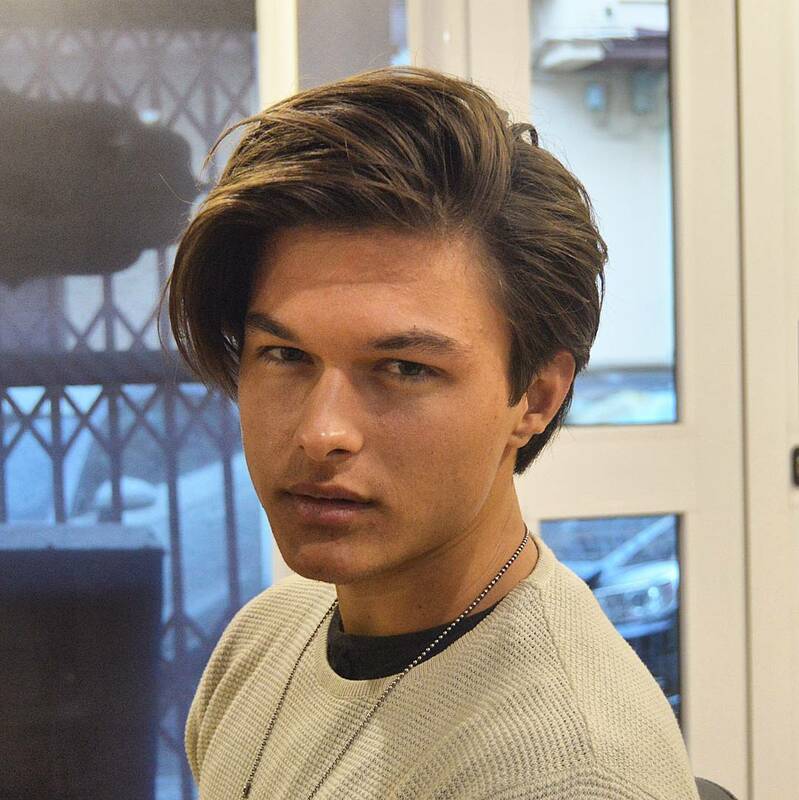 Men’s hair in 2017 is all about free flowing styles with plenty of texture and movement. This one hits all those points with panache. 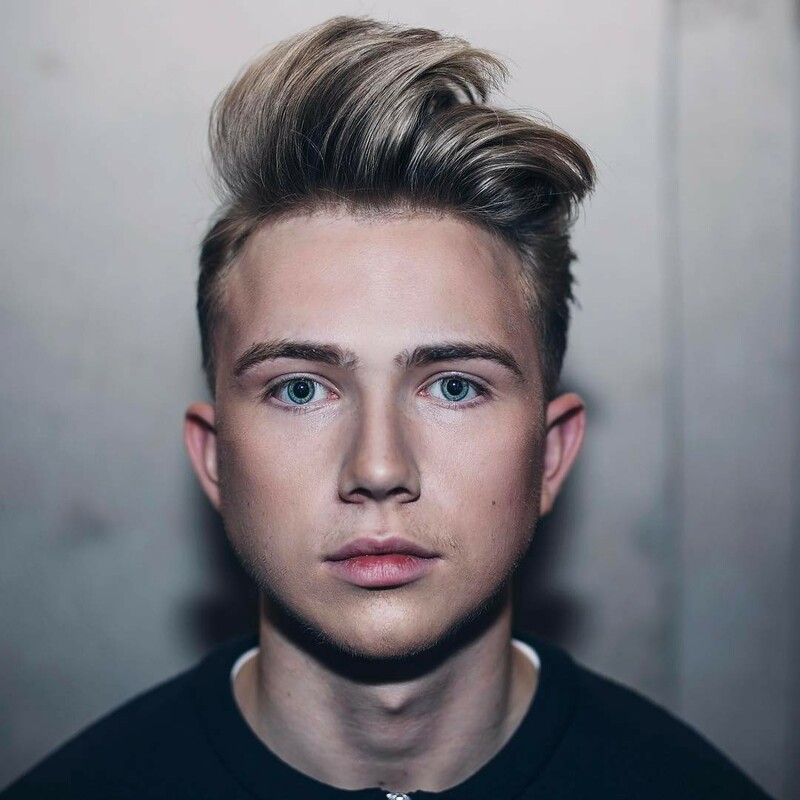 Medium length hair takes this quiff to the next level, literally. 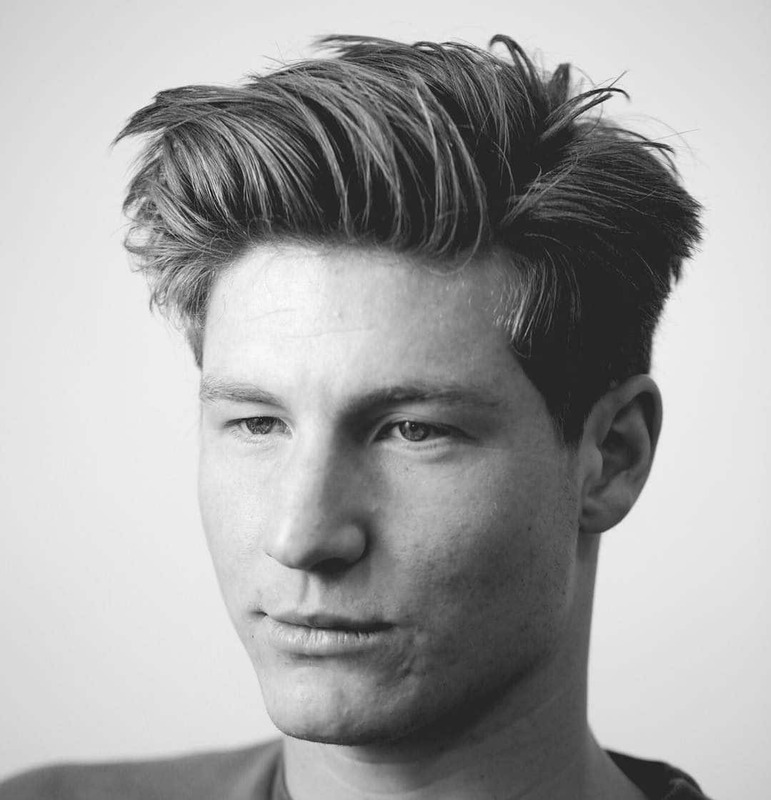 The sweep back has a similar profile to slicked back hair but has a more tousled, windswept finish. That works really well for medium men’s hair and keeps looking better throughout the day. The cool combover works at every length, from short to long. 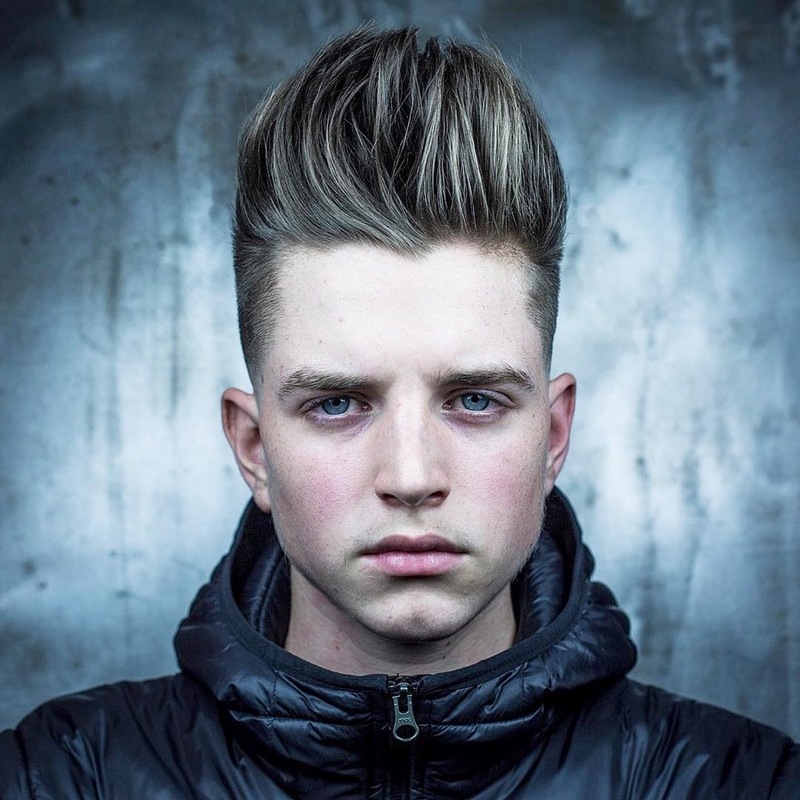 This cool version features a fade for no maintenance sides and hair swept across to one side. Product along the part keeps hair in place while leaving hair loose at the ends. Longer and looser styles work well with the added texture from wavy hair. Use a medium hold product for some volume and hold on top while leaving waves to do their thing. The longer the hair, the bigger the pomp. A slight burst fade behind the ear adds a cool detail at the sides. This blown back hairstyle is a brushed look with volume. Long hair blends into a mid fade for a flawless finish. 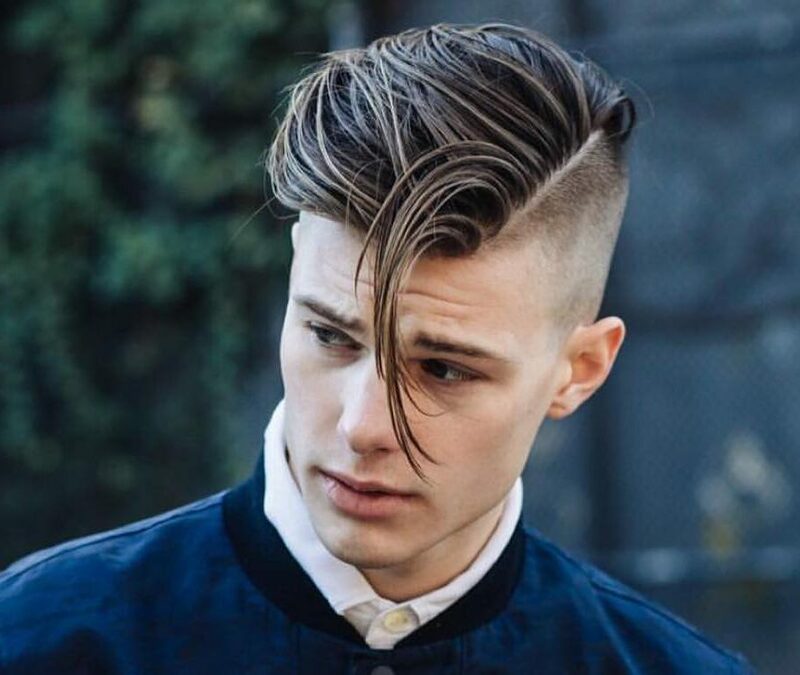 The side part hairstyle is one of those men’s hairstyles that can be worn in an almost infinite variety of ways. This fresh version features plenty of volume and texture. Here’s a similar, yet different way to wear a side part. 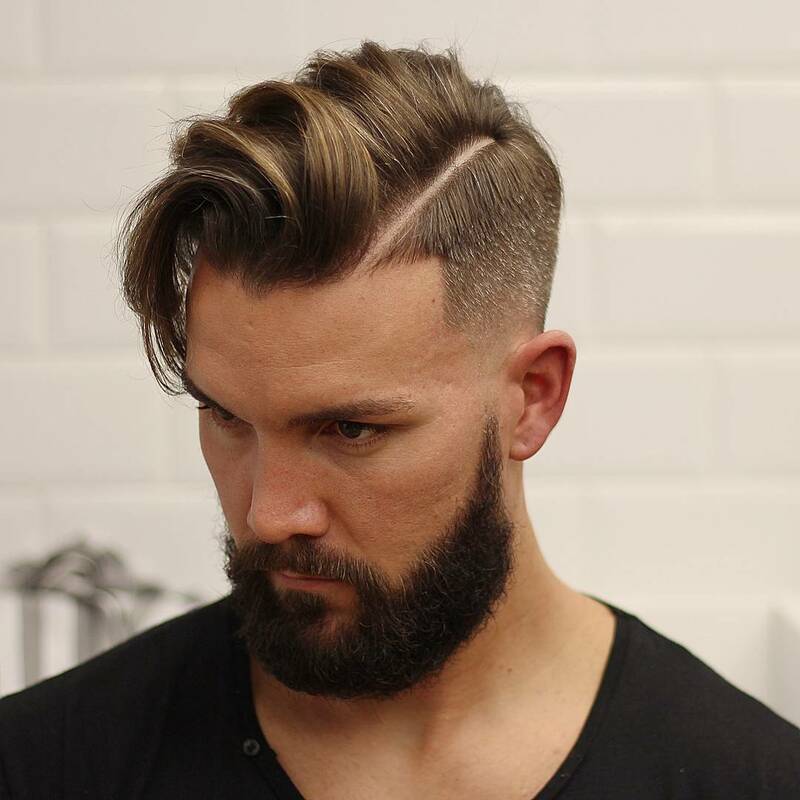 This version is parted further over to one side, leaving plenty of thick hair to comb over with added texture and volume. 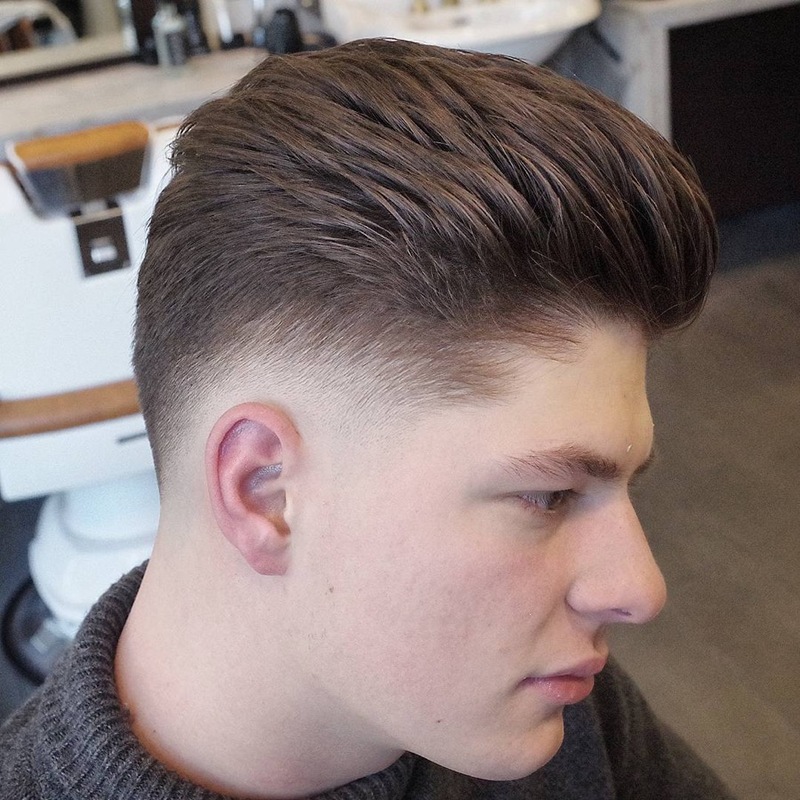 Tapered hairstyles are getting more popular, especially for medium length hair. They still look neat at the back, especially when swept back, combed towards the center and finished of with a clean neck taper. 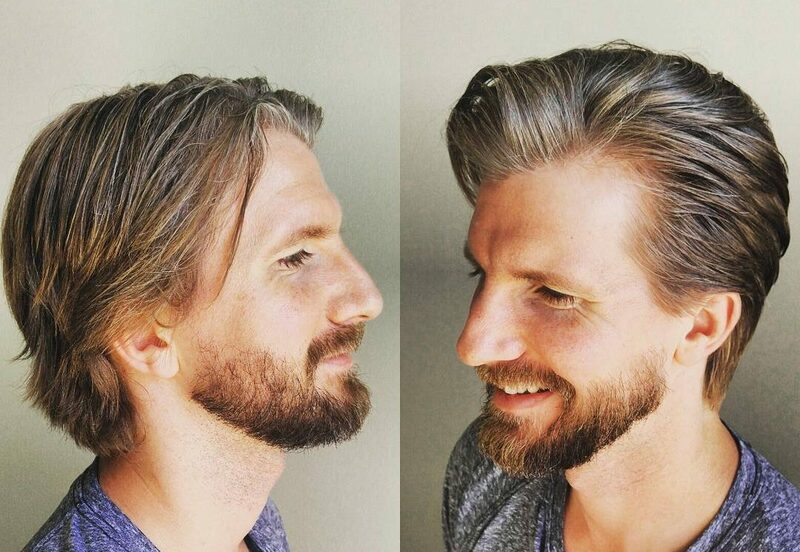 Longer men’s hair requires cuts as much as short hair, just not as often. The occasional trim will shape hair, cut out weight and helps in styling. 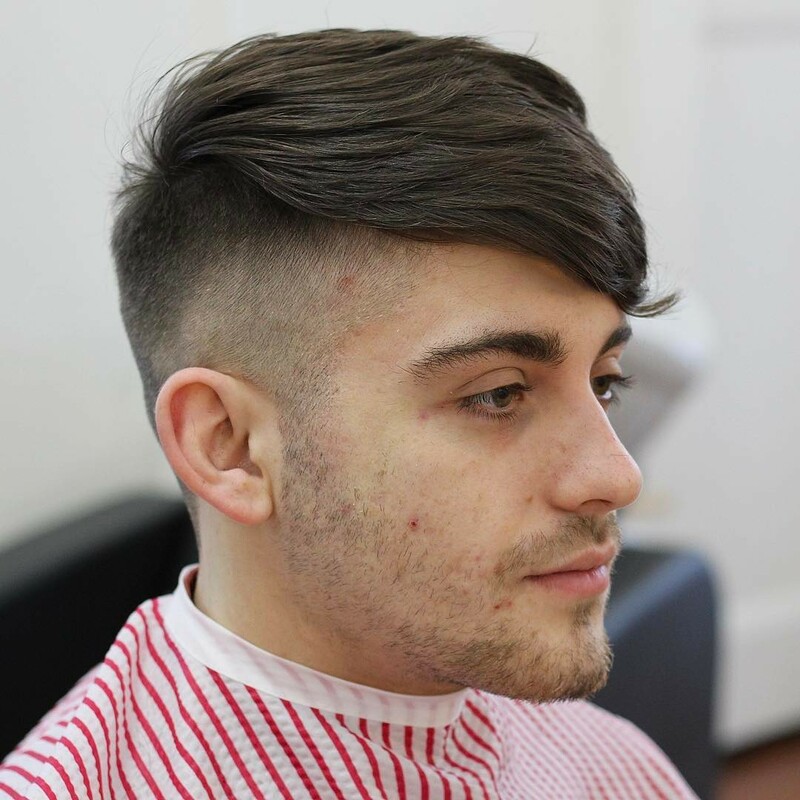 Without removing much length, this cut creates a fresh profile and clean cut style. 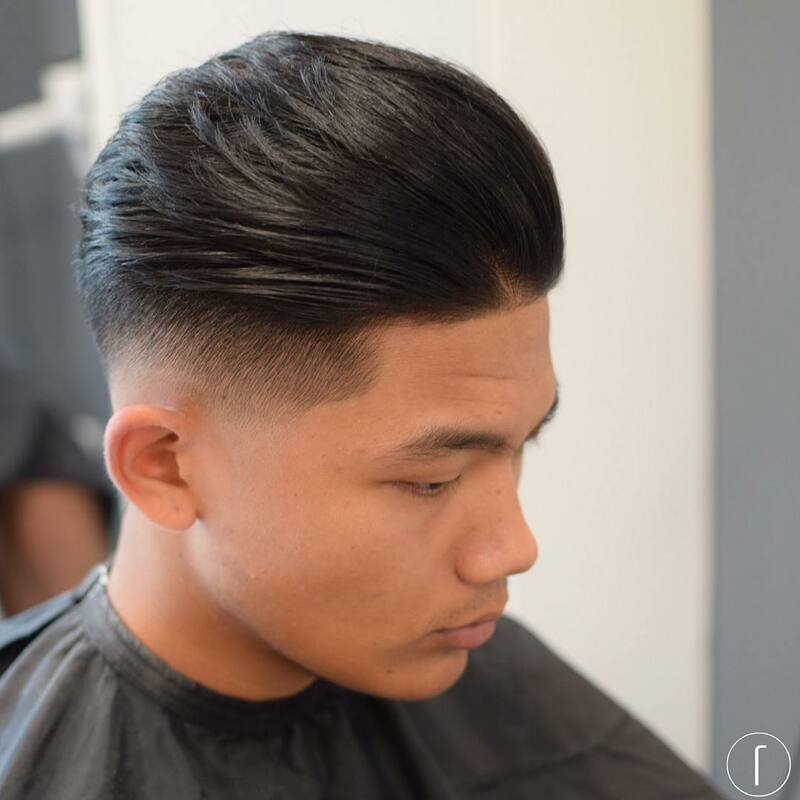 This effortlessly cool style shows that it’s not all about fades. The look will keep getting better as you run fingers through hair as the day goes on. This disconnect hairstyle is a cool way to wear medium length hair. 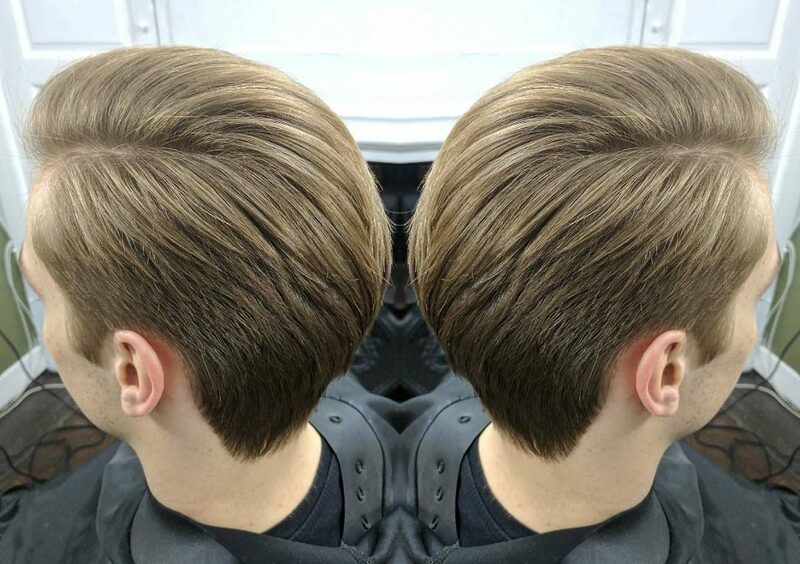 Sweep into this cool textured comb over or wear it neat. 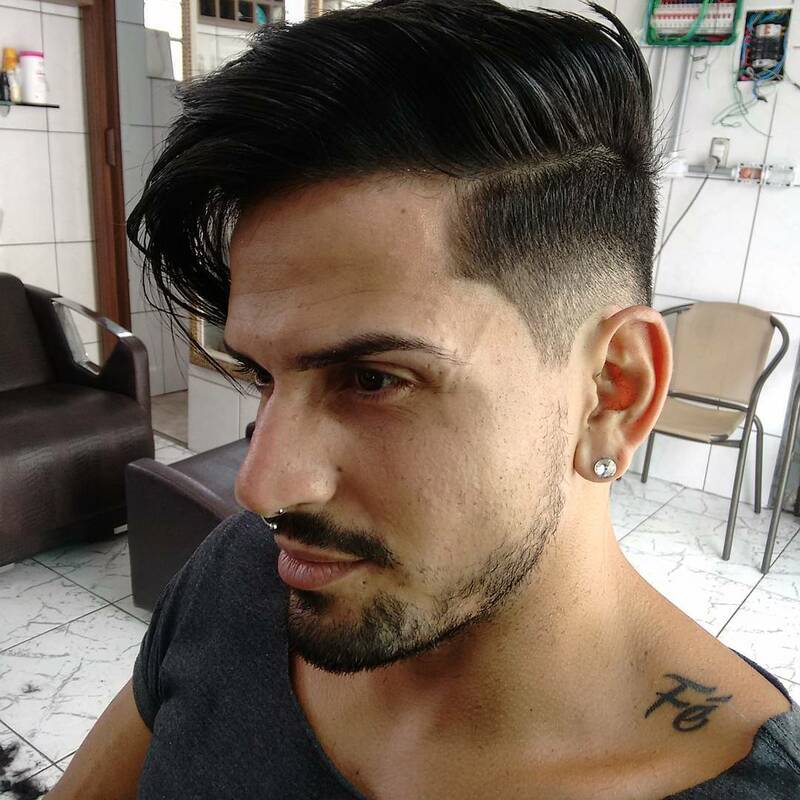 While styled into a legit messy mohawk, this medium length hair with a fade can also be worn in a slick back, comb over or forward fringe. 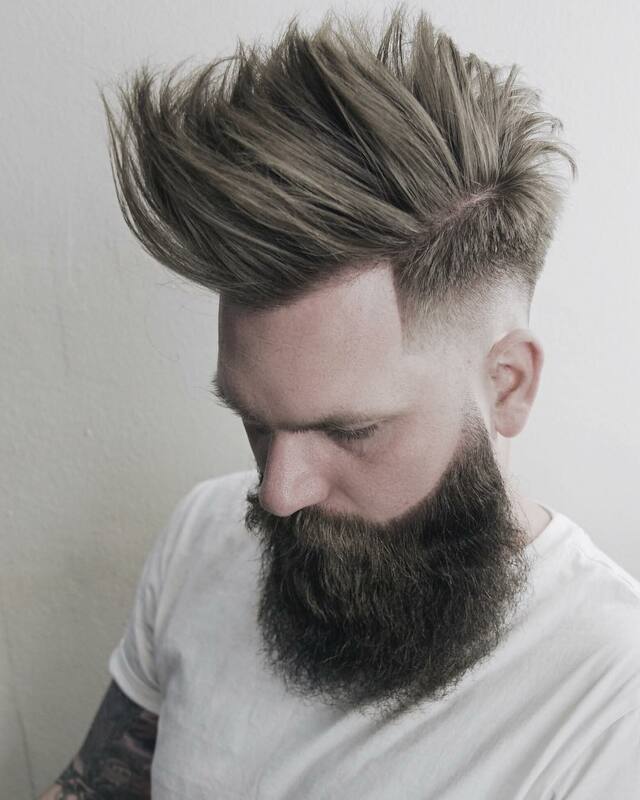 The fohawk, aka faux hawk, is cool short and even cooler with medium length hair. 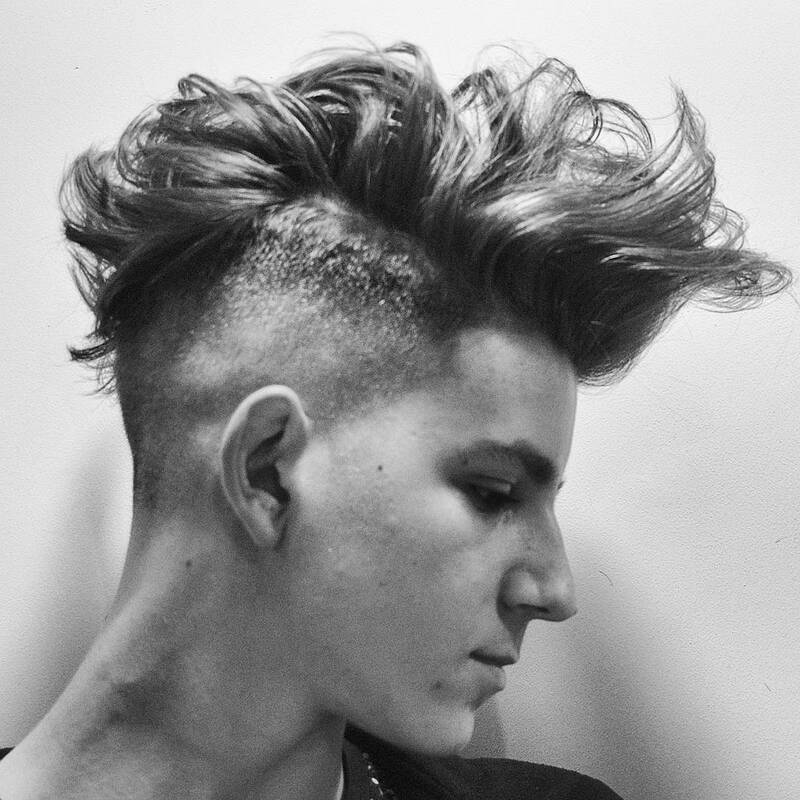 A combination of blow drying and product achieve this gravity defying look. This version uses Schwartzkopf Dust Up Powder. The cut can also be worn slicked back, in a comb over or loose with fringe.